STERLING SILVER BALL (BEAD) CHAIN NECKLACE. .925 Sterling Silver. 7.72 grams. Length :24 inches. Clasp: Spring clasp. Style: Ball (Bead) Chain. Diameter:2mm. 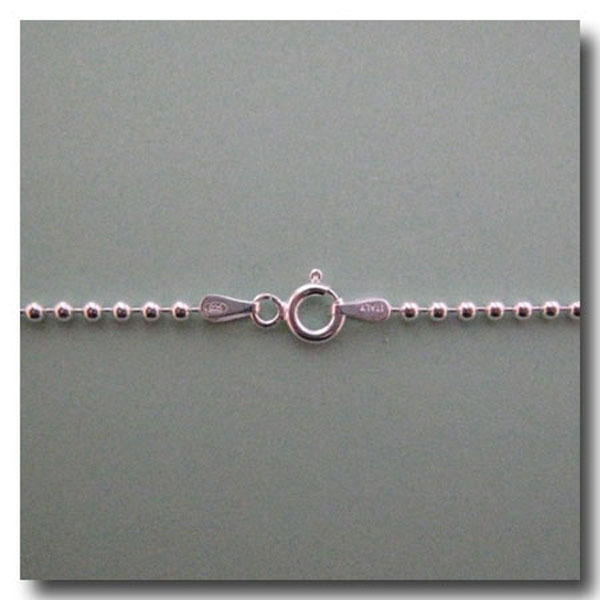 Classic Bead chain for pendants, charms or to wear alone. MADE IN ITALY of finest quality polished silver.